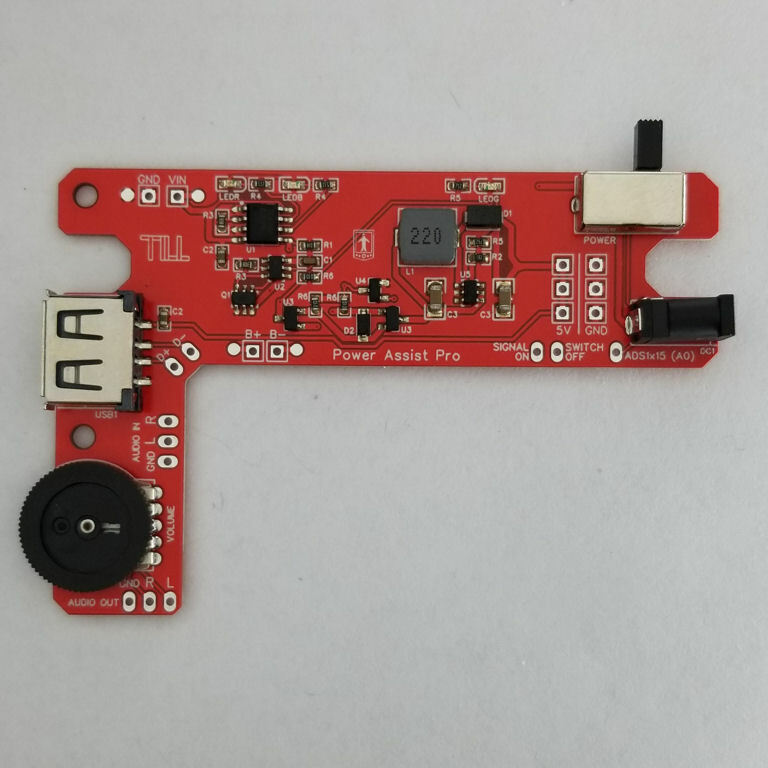 The Power Assist - Pro board enables charging for your 3.7V lithium polymer (LiPo) battery and boosts the output to 5V for your Raspberry Pi and other accessories. It includes a MOSFET switch that can provide safe shutdown functionality. It also has an integrated power switch, barrel jack connector, volume control and USB port, as well as LEDs to indicate battery charging (red), charged (blue) and power on (green). The board does not require a GPIO Assist board, though they are designed to complement each other. This board can also be easily attached to either of the screen brackets (available here) using the two extra posts along the left side. For additional charging options, a microUSB breakout board can be placed into the Game Boy Zero Cartridge (also available on the 3D Models page) and wired to the pads in the upper left corner. Note that you'll likely need to trim the power switch to the appropriate height.